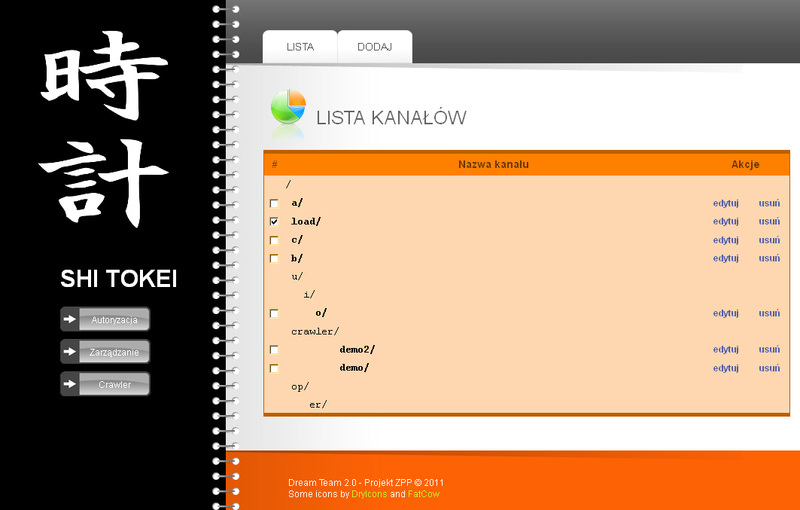 I prepared generic template website with CMS panel, that was later used by almost all Polish Yamaha schools. Portal dedicated to special fashion topic: cloth additions. Website provide badges and achievement system. Portal based on inPRL.pl engine with content for women. Website of Sport7 Association that promote winter sports. Clone of website with funny pictures. Facebook contest for Totolotek, where users guessed outcome of sport event and show their knowledge about winners of famous football championships. Shi Tokei is a system of statistical data storage and visualization. 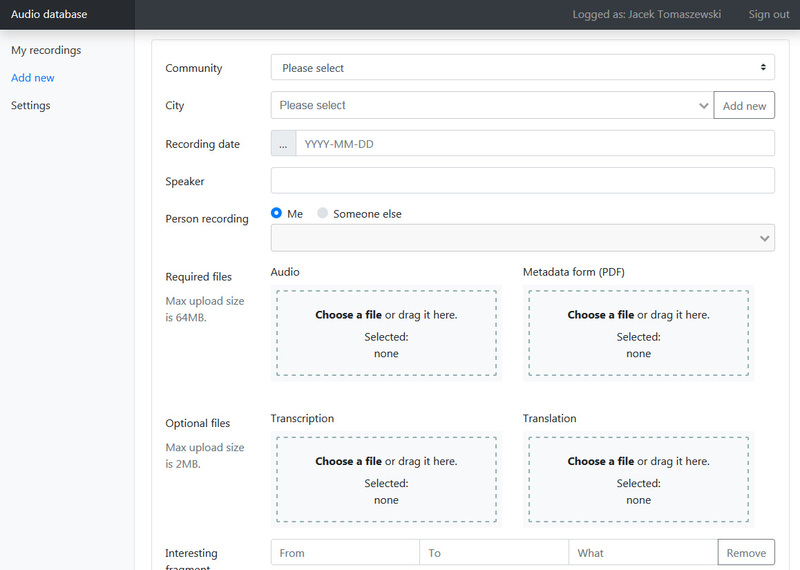 It has universal API and a plug-in for automatic fetching of data from internet. Plotting nice charts. Project done in 4-people team as a bachelor thesis. Other authors: Krzysztof Knigawka, Tomasz Pazurkiewicz, Tomasz Wysocki (MIM UW faculty). Web application for managing small lawyer's office. I always wanted to make a website presenting pictures and stories of cats I met. I used to be Dark Throne (Omega) player and I was annoyed by long seeking for opponents, mechanical clicking and so on. So I wrote program which automatized boring parts. Apart from on-line website, the company wanted to have off-line version with separate database and an archive. As a result I wrote application to move data and synchronize those 3 databases. All these websites share common template. I made this game in first class of a high-school. 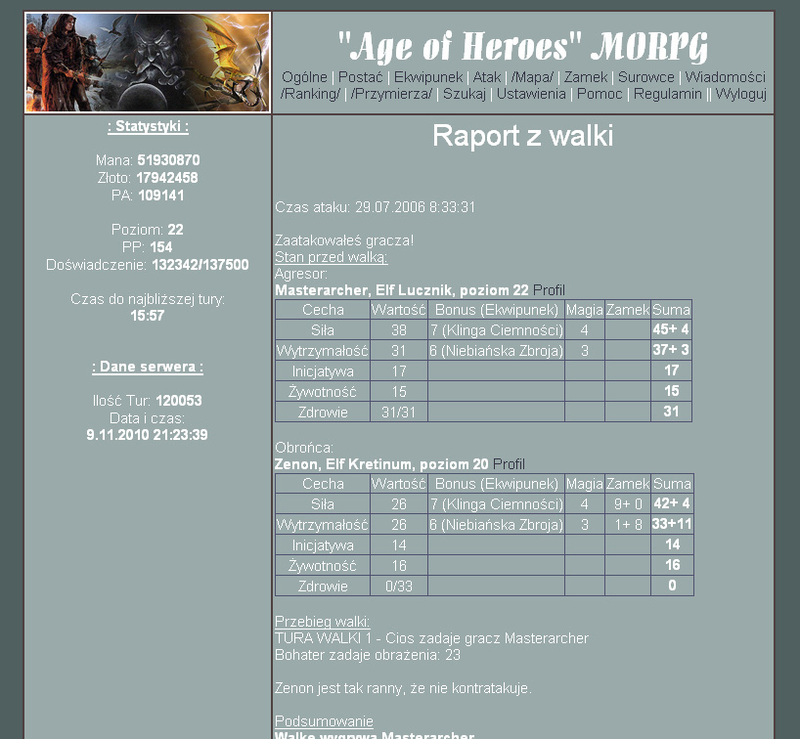 It was not very sophisticated, graphic was lame and the game has some serious flaws (like using text files instead of a database), but it was on-line for about 6 months and it gathered about 40 players. Then I closed the project to enhance it; unfortunately, works has never been finished.